There is nothing better than a delicious cupcake topped with a mouthwatering delicious frosting. But top a cupcake with Nutella frosting, and your whole world will change! 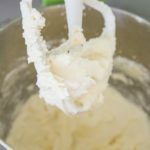 Today I am going to share with you an easy and delicious Nutella Buttercream frosting recipe that is out of this world. I am a huge fan of cakes and cupcakes and making my own desserts. While I am generally eating healthy for the most part, I figure that I deserve to cheat every now and then. And if I am going to cheat, I am going to do a really good job of doing it! 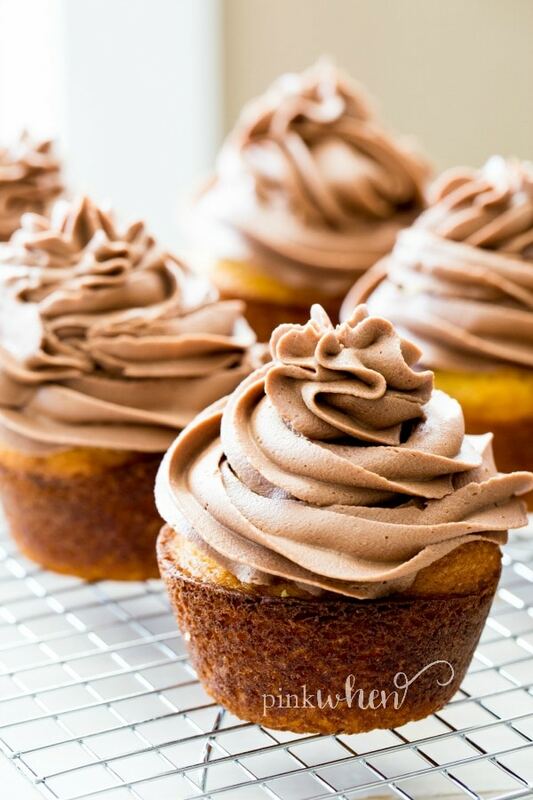 This Nutella frosting recipe is one of my favorites to make and top on a fresh cupcake. Once you see how easy it is to make, you will be making it over and over again! Nutella frosting is made with Nutella hazelnut spread, butter, powdered sugar, and milk. It’s easy to make and is the perfect topping for almost any dessert you can think of. One of my favorite parts about making this easy Nutella Frosting is that it is really good on so many things. Whether you are making cakes of cupcakes, this is by far one of the best-flavored toppings out there. Not only that, but the kids will destroy whatever you are putting this on! 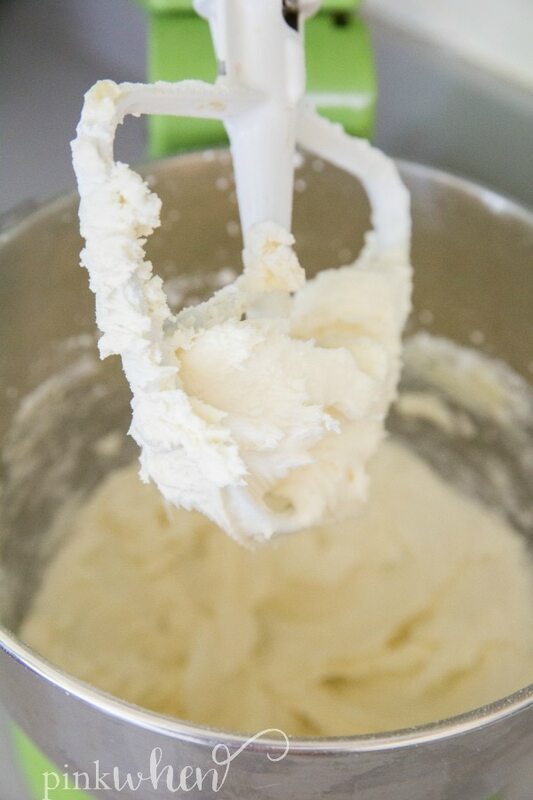 I remember when I was growing up my mom would make this yummy buttercream frosting. I would wait until she finished decorating her cakes before I would take it and eat all of the leftovers. This Nutella frosting makes me want to do the same. Fast forward years later and I am on a new favorite frosting kick. This stuff is so good you can seriously serve it on anything. The trick when making this easy Nutella frosting is to get it to the correct consistency. That’s easily accomplished as long as you’re adding the required milk a little at a time. Altitude can really make a difference in recipes. To make sure this is thick enough for your tastes, make sure to add the milk slowly. What do I need to make Nutella Frosting? Just remember that when you make the frosting, you add the milk a little at a time. Play with adding a little more or less to reach your desired consistency. Remember, it’s easier to add to the recipe than it is to take AWAY from the recipe. Go slow with the milk. And that’s it! Super cimple. 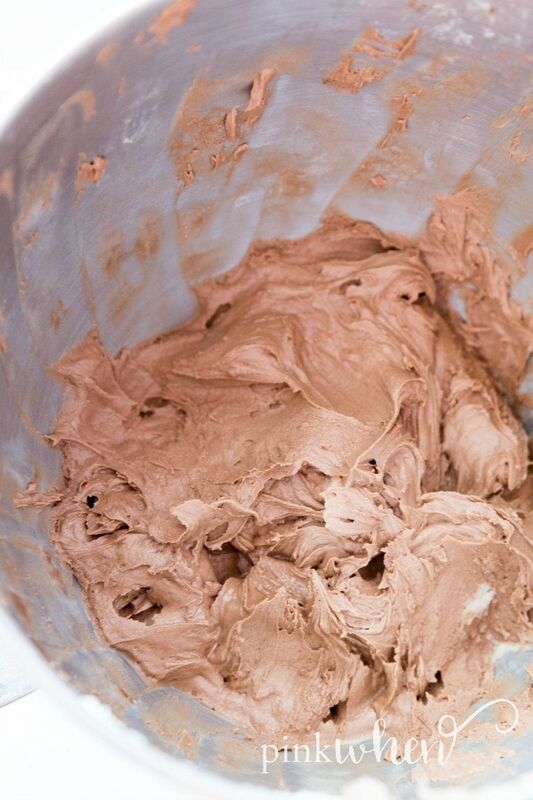 Check out just how easy this Nutella Frosting recipe really is. I hope you love it as much as we do. If you like this recipe as much as we do, will you give us a rating? 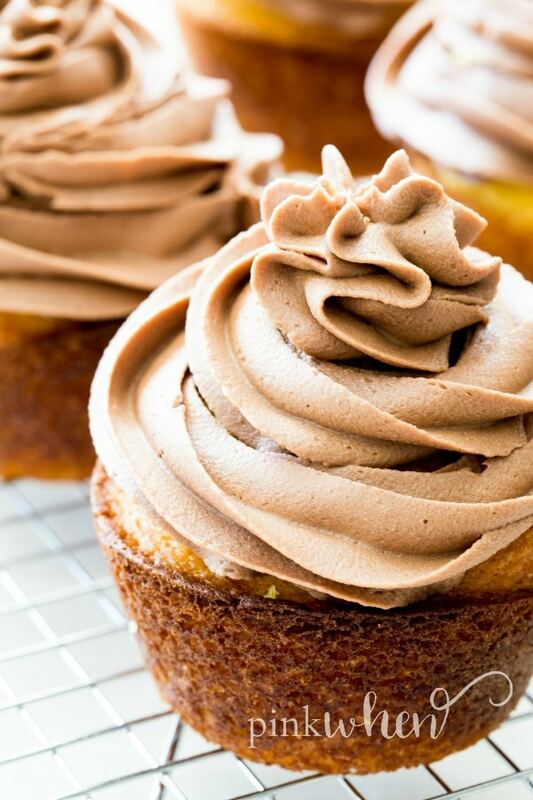 It helps show this recipe to others who are searching for a great Nutella frosting recipe. This Easy Nutella Frosting Recipe will really add decadence to any simple boxed cake mix recipe you have in the pantry! Combine softened butter with powder sugar. Mix until combined. Add milk 1 tbsp at a time( adding more if needed). Add vanilla mix till combined. Add Nutella stir till combined adding more milk for desired consistency. Love this frosting as much as I do? Share your thoughts and comments below, and then stay tuned for these Nutella Buttercream Cupcakes with hidden Cadbury eggs.